Thermal insulation materials called URSA are quite popular. They not only carry out traditional warming of roofs and walls, but also isolate ventilation pipes and other communications. And with their help, you can significantly reduce the noise level. So, get acquainted, URSA (URSA) - insulation, technical characteristics of which are kept at a high enough level, and the service life is very long. Thanks to its excellent heat retention and excellent noise absorption, it will be good in any building structure. This heat insulator is based on treated staple fiberglass. So this material is the closest relative of glass wool. In its manufacture, sand, soda, dolomite and other additives are taken in certain proportions. The mixture is heated to melting temperature and is passed through a special apparatus. The result is a fibrous substance, thin threads which are taped with a special composition. There are several products manufactured by URSA. The most common are insulators series URSA GEO, made of fiberglass. In addition, the company produces extruded polystyrene heat insulator URSA XPS, manufactured by extrusion. 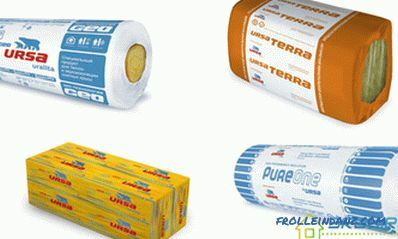 A novelty of the manufacturer, made with the help of the latest technology, is the PureOne insulation. Let's take a closer look at all these materials. 1. 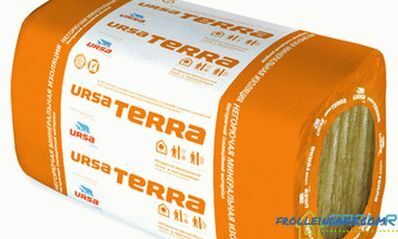 Fiberglass mineral insulation URSA GEO is different in that its production uses only environmentally friendly components. It is strictly controlled at all stages of the production process. So you can be sure that neither the raw material nor the finished material does not contain harmful additives. All materials in this group are fiberglass, but each of them is endowed with some unique properties and is intended for use in certain conditions and for insulating various objects. 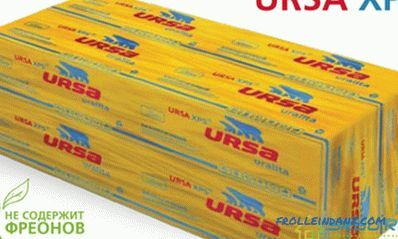 The appearance of URSA GEO insulation is no different from glass wool. 2. The heat insulator of the URSA XPS type also has its advantages and is an extruded polystyrene foam produced by a special technology. Its coefficient of thermal conductivity is very small, especially compared to other heat insulators. Slabs of this material serve for many years, they are very solid and durable. Therefore, it is advisable to use them, warming the roof of a flat shape, the floors on the first floor, facades under the plaster, basements and plinths. The URSA XPS and multi-ton loads can withstand completely - they are isolated by railroad embankments, runways of airports and the foundations of highways. 3. As for the newest material PureOne , this mineral heat insulator of excellent quality is ideal for both insulating structures and protecting them from extraneous noise. For all technical indicators, he gives excellent results. 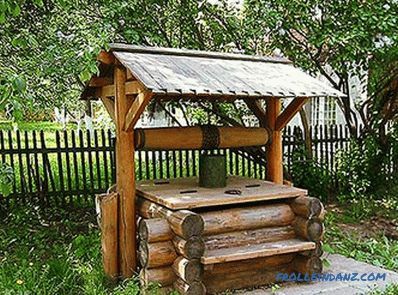 In addition, it is comfortable to work with it, as it is not prickly, does not attract dust and is similar to natural materials - cotton or wool. This material is a new kind of fiberglass products that does not cause an annoying effect. This is how the PureOne glass fiber heat insulator of a new type looks like. 4. There is another fairly new product from URSA. This is a mineral insulation TERRA, positioned by the manufacturer as a material of high rigidity and moisture resistance and is designed for thermal insulation of private houses. But in terms of its performance, it is close to professional heat insulators. 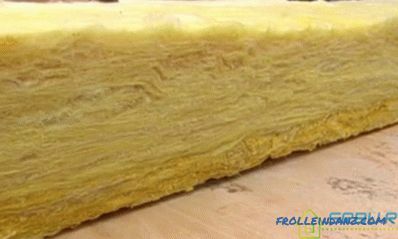 This insulation is very elastic, does not get wet and does not burn. Characteristics of various types of insulation . After all, its fibers are elastic and long, so many layers of air are formed between them. Having insulated the house with this material, one can expect that its walls will not freeze in winter. The coefficient of thermal conductivity λ determines how good this heater is. The smaller the value of this parameter, the better the material saves heat. In URSA GEO, it ranges from 0.035 to 0.044 watts per meter per Kelvin, depending on the type of insulation. According to the degree of noise attenuation this insulation is also at altitude. It may have a sound absorption class of either "A" or "B". Both laboratory tests and practical results have proven this. In principle, all fiberglass materials are able to trap sound waves well. Therefore, if there is a need to make a soundproof partition in the apartment, then as an option, you can consider one of these materials. As regards environmental friendliness . Even at the stage of preparation of raw materials there is a thorough check of all components. Ready insulation URSA GEO is also checked for safety for humans and nature.Let us cite as an example the emission of volatile compounds - in this material. And it is 10 or 15 times less than Russian and European regulatory indicators. 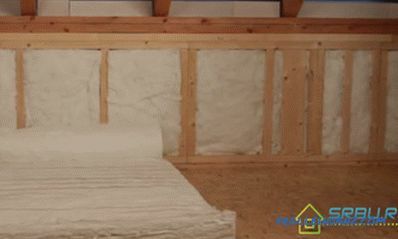 So with this insulation in your home will be clean air and a favorable microclimate. It should be remembered that all fiberglass materials are slightly dusty and therefore the walls from the inside of the room should be covered with waterproofing membranes. The fire does not take a mineral heat insulator URSA GEO - because it is made on the basis of quartz sand. This natural material can not catch fire. And if he meets with an open fire, he will not let him go further into the room. The old age does not threaten this heater. Even after a long time, it remains the same as it was at the very beginning. Neither its strength nor other properties change. And manufacturers guarantee a service life of not less than 50 years. Biological resistance. Since this is an inorganic substance, it is not to the taste of rats, mice and insects. Harmful microorganisms, such as, for example, like a mold fungus, do not start there. After all, to eat all these living creatures simply nothing. So they do not live in URSA GEO, bypassing his side. We draw your attention to the fact that all materials in this group are fiberglass with all the advantages and disadvantages that can be found in our special material: Technical characteristics of mineral wool, its brands and criteria choice, be sure to read it. 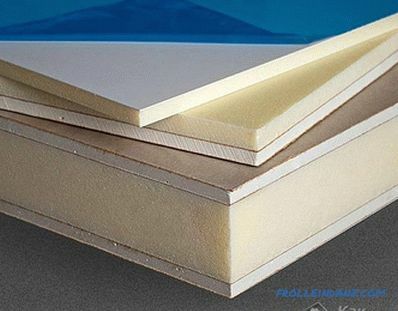 Noise protection 0.040 Sound insulation material, ideal for gypsum structures, sound absorption class B.
M-25F 0 Matter l with a layer of foil for pipe insulation. Facade 0.032 0.51 The material pasted with fiberglass, intended for insulation of external facades and ventilation gap. 1. The new technology, which was first applied by Russia and Europe, is successfully sweeping around the world. It is with its help that this material is made. The essence of the technology is that acrylic is used as one of the binding components - a chemically neutral and safe for humans polymer. 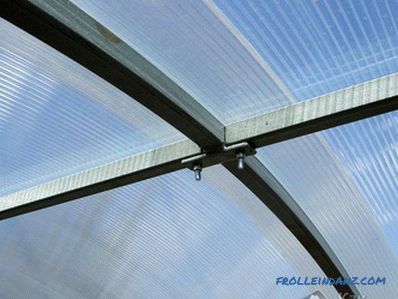 Therefore, fiberglass is obtained not as prickly as with standard production technology and less dusty. Acryl is a rather inert material; water does not dissolve it and does not oxidize air. Therefore, insulation of this type can be applied in kindergartens and in hospitals. 2. As regards the noise-absorbing characteristics of the PureOne URSA insulation, they are confirmed by tests of scientists from the NIISF (Building Physics) of the Russian Academy of Sciences. According to research data, the material in the form of plates has a sound absorption class "A", the material in the form of mats is a class "B". The elastic acrylic included in the composition is able to absorb sound waves perfectly. Therefore, partitions of this material protect from noise better than stone wool or glass fibers. The difference can be 2 dB. 3. And this insulation is more elastic than ordinary fiberglass. They even talk about some kind of "spring effect" that occurs inside it. Therefore, it is firmly fixed in the cavities of the walls, rigidly installed in the thrust, and its shape does not change over time. 34 RN 0.034 0.51 Can be used in the warming of children's, school and preschool institutions, produced in the form of plates. 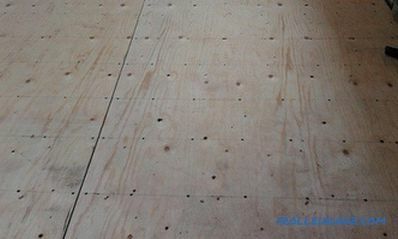 37 RN 0.037 Rolled material for warming floors and walls from the inside, can be used in children's and preschool institutions. 1. Strength. This material has excellent strength, as well as increased resistance to deformation. Moreover, it honorably withstands not only stretching and compression, but also perfectly resists bending. URSA XPS and 50 tons of load applied to one square meter can withstand. 2. Environmental friendliness. In the manufacture of this heat insulator carbon dioxide CO2 is used, which is not at all a toxic substance. All breathing living organisms (and we, including) emit it. Therefore, neither the process of production of insulation of this type, nor the finished product is not harmful to humans and nature. But we must not forget that this is polystyrene foam, which, when exposed to high temperatures, releases toxic substances. 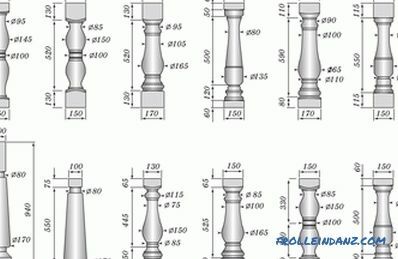 This question is discussed in detail in our article: Styrofoam - characteristics and selection criteria, be sure to read it. 3. Permeability. Thermal insulation material URSA XPS does not absorb water. Therefore, its ability to retain heat is not reduced when exposed to groundwater or wet earth. Freezing and thawing again (more than 500 times), it remains the same. Therefore, where the ambient temperature often changes, this heater is quite appropriate to use. This compares favorably with the fiberglass heat insulators discussed above. 4. Service life. At least 50 years old are able to serve plates made of insulation of this brand. In this case, neither the shape, nor the dimensions of the plates, nor the characteristics of the URSA XPS will not change at all. This material is not dangerous direct contact with plants or soil - this is a definite plus. 5. Flammability. Flame retardants, fire retardants, are part of URSA XPS N-III-L. They block the path of oxygen, and because of this burning does not occur. But as mentioned above, this material is expanded polystyrene, which, if it does not support combustion, it is very easy to melt under, the effect of temperatures emitting toxic substances. NV 0.032 0.004 0.3 Hard Plates expanded polystyrene with L shaped kromnkoy. N-III-I Rigid expanded polystyrene plates with a straight edge.